Michael Mussallem, a 1974 chemical engineering alumnus (pictured with wife, Linda), has been a guiding force as Edwards Lifesciences has become a leading provider of replacement heart valves. The company’s philanthropic efforts also are helping others. Transforming Edwards Lifesciences from a debt-ridden spinoff into a leading medical device provider has earned chemical engineering alumnus and Rose-Hulman trustee Michael Mussallem recognition at No. 15 among the world’s best-performing chief executive officers. And, it’s the fourth time he has made the list, compiled by Harvard Business Review. The publication examined 881 CEOs for corporate performance, leadership style and each executive’s ability to sustain momentum when facing savvy competitors, demanding customers, and challenging political and economic times. The ranking placed Mussallem alongside esteemed CEOs with Northrop Grumman, Nike, FedEx, Lockheed Martin and Disney. Mussallem’s 18 years in leading Edward Lifesciences has seen the Irvine, California, company’s value rise 4,000 percent and it has become a leading manufacturer of replacement heart valves. Employment has doubled to nearly 13,000 employees in 40 nations. He became the company’s leader at a time when it was being spun from Baxter International Inc., where Mussallem had held positions in engineering, product development and general management for several years. Edwards Lifesciences was Baxter’s poorest performing unit, according to reports, with $550 million in debt and a net value of $230 million. “I was ready to roll up my sleeves for a new challenge. Edwards needed me as badly as I needed Edwards,” says Mussallem, a 1974 chemical engineering alumnus. Since then Edwards Lifesciences has been at the forefront of patient-focused medical innovations for structural heart disease, as well as critical care and surgical monitoring. The company also collaborates with the world's leading clinicians and researchers to address unmet health care needs, working to improve patient outcomes and enhance lives. Today, Edwards Lifesciences’ stock value exceeds $32 billion. Mussallem believes Edwards Lifesciences also is “in the heart business,” with philanthropy becoming a core business principle. The company urges all of its employees to give back to society through charitable or community work, and its foundation provides education, screening and treatment to underserved patients. 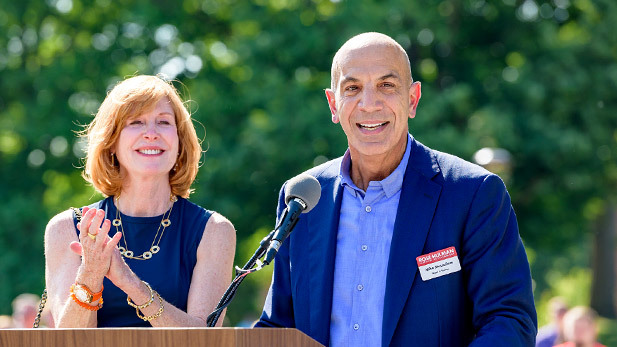 In 2016, Linda and Michael Mussallem gave the $9 million lead gift to support the expansion and renovation of Rose-Hulman’s student union. The gift was motivated by the couple’s desire to make a positive impact on student health. The Mussallem Union was opened and dedicated last year. 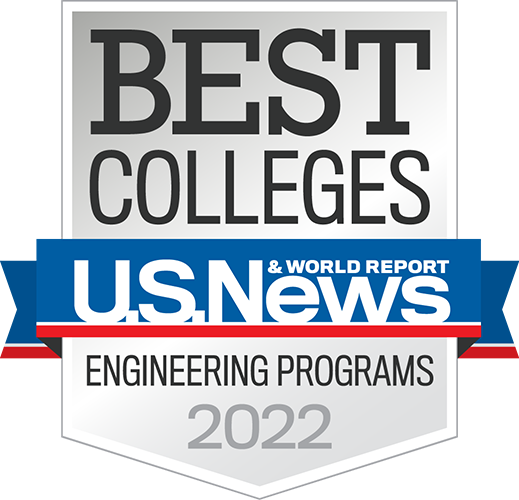 “I am very proud to be a graduate of Rose-Hulman, which is an amazing place with an unmatched educational experience, a unique culture and an outstanding reputation,” says Mussallem, a Gary, Indiana, native who became an institute trustee in 2017. He received an honorary degree from his alma mater in 1999.